UPDATE: The Public Works department has informed us the correct location for the stop sign is BAYLOR AVE at Killarney. Pleased to share good news about improvements to Killarney Road! 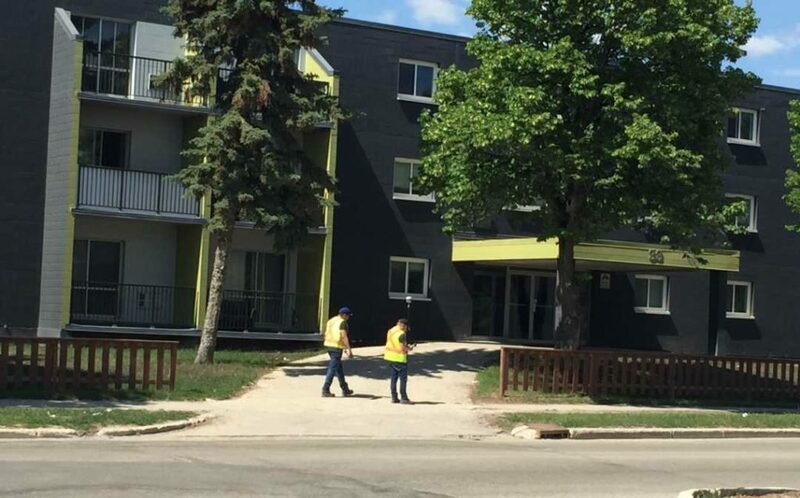 A complete concrete reconstruction will occur this summer on Killarney Rd from Pembina Hwy to Baylor Ave. Major construction of the Scotia Bank in the shopping center is now complete so road re-construction can occur! A bit of pain but will be well worth the gain! Also installed this week is a three way stop sign on Killarney and Baylor Ave. These signs will be permanently installed in the near future. 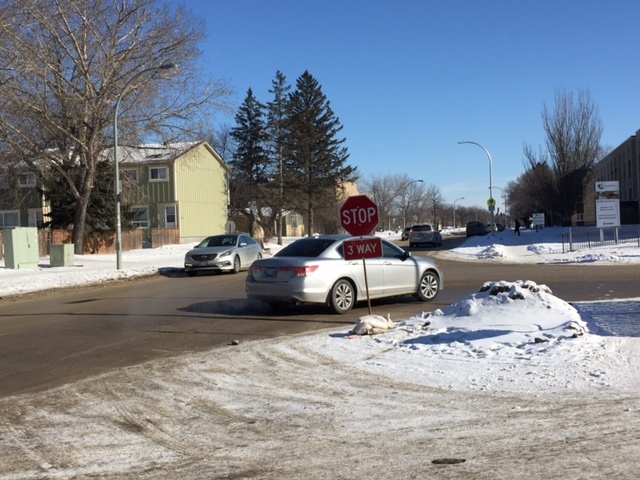 The stop signs met engineering criteria and will enable a more controlled approach to traffic in the immediate vicinity of the apartments, high school and elementary school. I’ve had many inquiries to try and improve traffic flow around the apartments, high school and elementary school. The morning drop off and afternoon pick up see excessive volumes of traffic on Killarney and it is virtually impossible to reduce the volume of traffic. The controlled crosswalk and the three way stop signs will have an impact on traffic speed and improved safety, but will do little to reduce the traffic volume. This is a problem every school in the City of Winnipeg experiences. The most important thing for anyone driving in the area of the schools and apartments is to drive with caution and be aware of your surroundings.